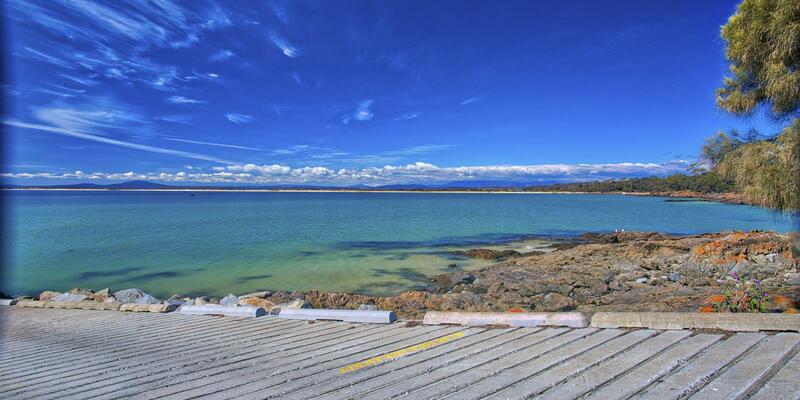 Bridport is located in north east Tasmania nestled alongside Anderson Bay and approximately one hour's drive from northern Tasmania's hub of Launceston. The popular seaside village has been a favourite Summer destination for generations of Tasmanians and has recently gained international fame for being the home of Barnbougle's two iconic golf courses, Barnbougle Dunes and Lost Farm. Bridport's population of 1,300 swells to over 3,000 during the Summer months as holiday makers converge to enjoy the sunshine, beaches and relaxed lifestyle. Watersports including fishing, boating, skiing and jet skiing are favourite activities with locals and visitors alike but that's not all Bridport has to offer. Bridport's award winning Walking Track showcases a side of Bridport not to be missed. The 11km circuit boasts several exit and entry points and offers a multinature experience incorporating 4 different distinct walking environments; river, forest, foreshore and wildflower. Bridport's Main Street shopping precinct offers the essentials including supermarkets, pubs, newsagent, post office, hairdressers, boutique, chemist, bakery and cafes. A local primary school, public golf course, tennis courts, library, doctors surgeries, community hall and bowls club complete the picture. Launceston Airport is located 15 kilometres south of Launceston on the Evandale Main Road, 3 kilometres from the Midland Highway Junction and 5 kilometres north of Evandale. Distance to Bridport is 90km, approximately 1 hour 20 minutes drive. A ferry service operated by Furneaux Freight Pty Ltd services the Furneaux Group of Islands, including Lady Barron, Cape Barren and Flinders Island with an on demand service to King Island and Port Welshpool. A light aircraft service operates from Bridport Aerodrome to Flinders Island.